One region of Portugal that doesn’t get much fanfare in terms of wine is Beira Interior. Laying in the quiet region between the mountains and Douro of the north, and the Spanish border, the area’s rocky terrain makes it the most continental of Portugal’s DOCs. 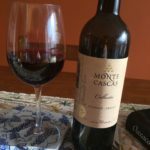 With broadly ranging temperatures, combinations of nationally prevalent grapes, such as Síria and Aragonez, are blended with locally prominent varieties like Fonte Cal and Rufete. 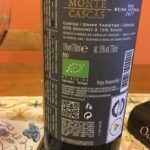 Monte Cascas, a marque of Casca Wines north of Cascais, features wines from around Portugal, and we recently tried a tinto and a branco from their organic and biologico line sourced from Beira Interior grapes. The tinto, especially, presented a lot of rich yet bright red fruit flavors for a young wine, and paired well with the feijoada (bean stew) we made for that evening. 13% abv. A couple of summers ago, when we first drove around Portugal, we spent several days near Viseu, in the heart of Dão, and it’s a region we intend to take more time with in the future. With the region’s proximity to the Douro, there’s no surprise that grapes that do well in that exalted valley also thrive just to the south, sheltered in the numerous clefts and folds of land between the mountain ranges of north-central Portugal. 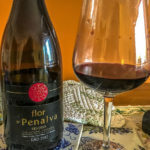 The widely available 2015 Flor de Penalva Reserva makes a great example of this, blending Touriga Nacional, Tinta Roriz, and Alfracheiro with the Dão variety, Jaen. Its deep aubergine color and rich mouthfeel belie its moderate 13% abv, typical of the region. With roasty blackberries on the nose meeting eucalyptus and cassis on the palate, it’s hearty enough to stand up to the pork in cream sauce with which we enjoyed it. 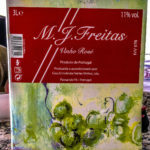 Last weekend we ran the Trilho das Vinhas hosted by Casa Ermelinda Freitas, running through its vineyards, as well as those nearby (it was 15 km, after all our steps were counted). 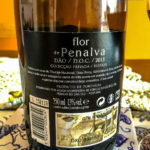 The run gave us a new perspective on the Palmela DOC–it’s far sandier than we expected–and also piqued our interest about the estate, whose wines we’ve enjoyed a lot over the years, as they’re often served in local restaurants and homes. 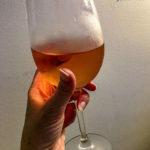 After the run, we tasted a handful of the widely available Ermelinda Freitas wines, and serendipitously, found one of their rosés on sale at the local supermercado. What a great buy this turned out to be! The rosé’s dry and well made, with aromas of cranberry and tastes of cranberry and strawberry. With 11% abv, it went well with a complex and moderately spicy Oaxacan coastal molé with chicken for our Sunday supper. 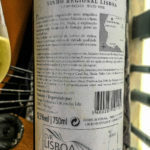 As we continue our swing through local wines and quintas, today we feature the basic branco from Casal Santa Maria, a beautiful estate perched above us within the Colares DOC. 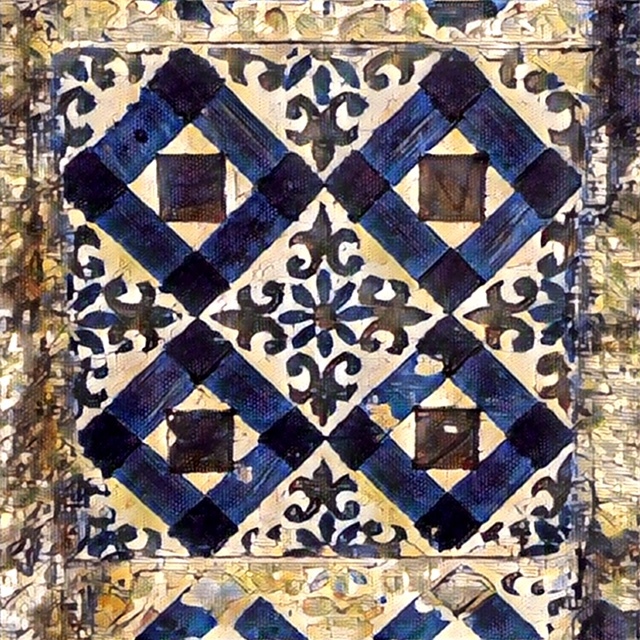 The casal has focused on international varieties (in addition to a Malvasia de Colares and a Ramisco they produce), which we’ll cover in an upcoming feature. 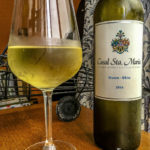 For this week’s wine, though, we share the blend of Arinto, Chardonnay, and Malvasia that comprise the 2016 house white. Its crystal minerality shows off its provenance, with fresh pineapple on the nose and palate. Its moderately high acidity softened on day two, with its tropicals losing a bit of oomph to the citrus notes lingering in the background. I’d enjoy this with a buttery shrimp entrada.